Your Premier Deerfield Orthodontic Practice For Adolescent Treatment! At Jarosz & Valente Orthodontics, our board-certified orthodontists and dental team provide expert orthodontic care for adolescents all across Arlington Heights & Deerfield, IL! The most common time for adolescent orthodontic treatment is between ages 10 to 14, and for a good reason. By age 12, most young teenagers’ permanent teeth have erupted and are in place, allowing our staff to easily detect crooked or misaligned teeth, large gaps between teeth, and any structural problems with the jaw. These common orthodontic problems will hardly ever correct themselves over time, so it’s crucial for parents to seek out our professional orthodontic opinion right away for their young teenagers! During a child’s early adolescence, many negative associations with braces are not present; making it the perfect time for orthodontic appliances! Many adolescent children in Arlington Heights & Deerfield undergo orthodontic treatment from ages 10 to 14, helping to inspire their peers to join the ever-growing braces club! With fully customizable rubber band colors on their brackets, your young teenager will want to look cool and fit in with their peers right away! Aside from the benefits of fitting in with their friends, children who are in their early years of adolescence are growing rapidly, and our orthodontists can usually take advantage of these growth spurts to help shape their bite and teeth correctly. Children at this age also have high metabolisms, which can help shorten overall treatment time and reduce the discomfort of their orthodontic appliances. The benefits of adolescent treatment include a shorter orthodontic treatment period, and feeling less discomfort from appliances while the teeth are growing. During your teen’s first appointment at Jarosz & Valente Orthodontics, our dental team will create diagnostic records of their mouth, which may include digital photographs, x-rays, and dental impressions. Dr. Jarosz or Dr. Valente will use this diagnostic information to create a unique treatment plan that will best meet your teenager’s needs. Once the records have been analyzed by our doctors, our team will sit down with you and your teen to chat about their findings and your teen’s potential treatment options. 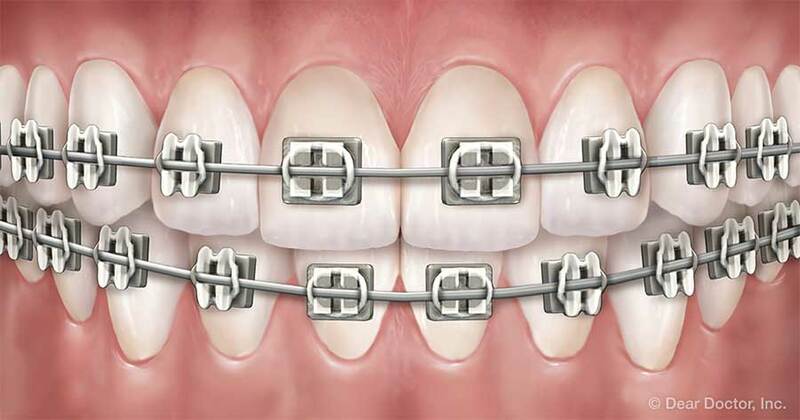 Traditional Metal Braces– Metal braces are among the most popular types of braces that are very effective and economical. 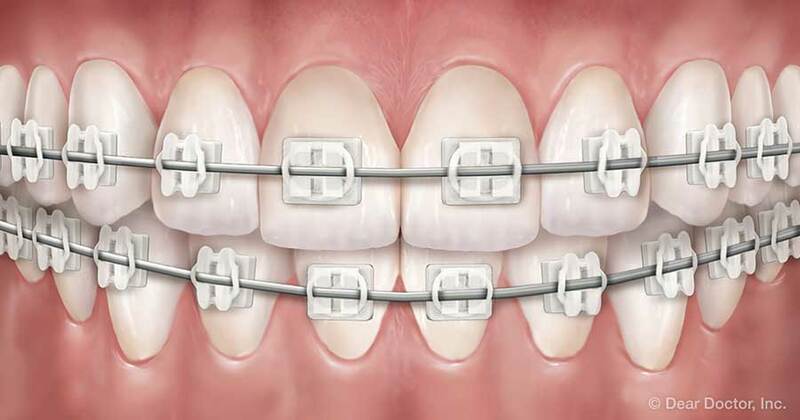 While metal braces used in the past were bulky and uncomfortable, today’s modern metal braces are smaller, more comfortable, and more attractive. 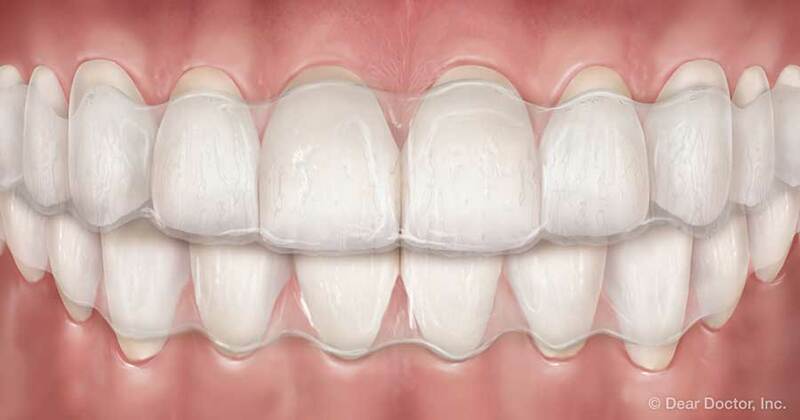 Clear Ceramic Braces – Clear braces are made of a translucent ceramic material to make treatment more discreet. These braces are ideal for teenagers who don’t want their treatment to be so obvious. ClearCorrect Clear Braces - The ClearCorrect aligners are custom-made removable trays made of 3D printed thermoplastics, meaning your teen you can straighten their teeth without anyone knowing! They can still eat and drink whatever they want, and they can brush and floss normally to maintain healthy gums and teeth. Get In Touch With Your Orthodontists In Arlington Heights & Deerfield, IL Today! With years of hands-on experience utilizing cutting-edge adolescent orthodontic technology, our team at Jarosz & Valente Orthodontics in Arlington Heights & Deerfield, IL can confidently diagnose your teenager’s dental needs right away! Whether your young teen is wanting traditional metal braces, or they are interested in ClearCorrect clear braces, make sure to contact us to schedule their first orthodontic examination between ages 10 to 14! On behalf of our entire staff at Jarosz & Valente Orthodontics, we look forward to helping your teen on their orthodontic journey towards a beautiful smile!